I’m going to take a little departure from building Road Maps to begin a new series How to build better systems. Applied Enterprise Architecture means a little hands-on practical application is always a good way to keep our knives sharp and skills current. We will begin with the specification. I define a Systems requirements specification (SRS) as a collection of desired requirements and characteristics for a proposed software system design. This includes Business Requirements (commonly known as a BRD), non-functional requirements, and core architectural deliverables. The collection is intended to describe the behavior of a system to be developed. The collection should include a set of use cases that describe interactions the users will have with the software. The specification should be accompanied by a set of architectural guidelines for the project team (see Nick Malik’s fine post “A practical set of EA deliverables” for good examples) to follow as first principals. This is true (in slightly different variants) no matter what Systems Development Life Cycle (for example Waterfall, Agile, Spiral, and others, even Test Driven Development) we are planning to use to manage the development effort. Getting this right means can reduce defects and errors early and remains the single most effective action we can take to improve our project outcomes. We probably can all agree that defining functional and non-functional requirements are the most critical elements of a project’s success or failure. In fact searching Google for the simple search term “defining good requirements” returns over ninety-one (91) million hits! Yet in spite of all the good advice and fine writing available we have all seen inaccurate, incomplete, and poorly written requirements specifications. We all know this will result in poor quality products, wasted resources, higher costs, dissatisfied customers, and late project completion. The cost to remediate these defects in development projects is staggering. I’m going to try to keep this very professional and objective. I can’t help thinking this is probably a very good place to rant about the dismal state of affairs many of us find ourselves in today. We spend an enormous amount of energy to test executable code, yet the tests themselves are constructed on faulty assumptions or ambiguous specifications (you figure it out) that can’t be tested in the first place. This is a common and all too familiar challenge I see everywhere in my practice. And I mean everywhere. More than 31% of all projects will be cancelled before completion. 53% of projects will take more time to complete and will cost twice as of their original estimates. Overall, the success rate for IT projects is less than 30%. 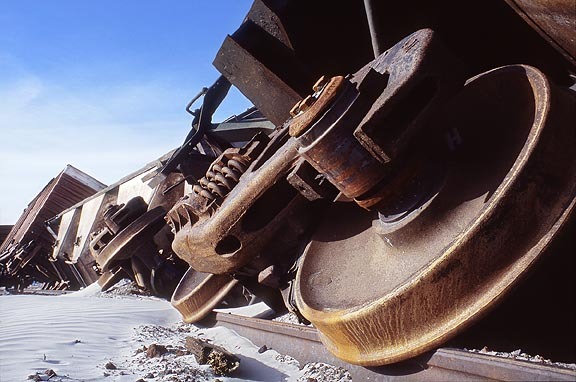 Using generally accepted quantitative findings fixing requirements defects (errors) can eat up to roughly one third of most software project budgets. For example, requirements errors have been found to consume 28% to 42.5% of total software development cost (Hooks and Farry, 2001). Rework can consume up to 40–50 percent of project budgets (Boehm and Basili). In fact, faulty requirements form the root cause for 75–85 percent of rework (Leffingwell). And early detection is critical. The cost to a 1 million dollar budget at the low end of scale can be more than $250,000. Finding and fixing defects outside the SDLC phase where it originates has its own cost (up to 400 times as much to remedy – Reifer, 2007). It might cost $250 to $1000 to find and fix a requirements defect during the requirements phase. If uncovered when the product is in production repairing it can cost $100,000 to $400,000 in this example. As Willie Sutton once said he robbed banks “because that’s where the money is”. And so it is here where the real opportunity lies (and has been for some time) to capture and preserve real business value. Reducing specification requirements errors is the single most effective action we can take to improve project outcomes. All four of these toot causes result from poor requirements and specifications practices. 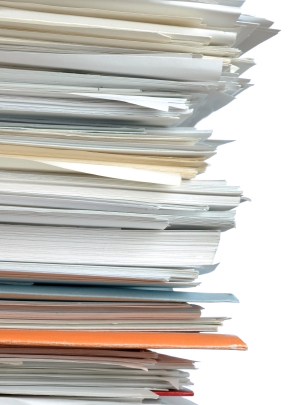 It is clear that current requirement management processes and tools are simply not working. This is how we have always performed the work, why change the way we do this now? Crafting requirements specifications can seem like a daunting task. And how can the author tell the difference between a good requirement and a bad one? How can we ensure clear unambiguous system requirements are crafted on a consistent and repeatable basis? While many new business analysts are looking for templates it is rare a template provides enough rigor and information to help write better system requirements. Templates can help you get started, but they don’t really tell you what a good requirement looks like. Understanding what represents good content in the requirement is a little more difficult (ex; Specific, Measurable, Achievable, Realistic, and Timely). Even more difficult is preventing text ambiguity from occurring in the document(s) due to the presence of ‘non-actionable’, vague or imprecise language. I have stumbled across a better way to tackle this challenge. The approach uses process improvements, a few new roles, and Natural Language Processing (NLP) technology to identify defects early in the development life cycle before they become expensive to correct. 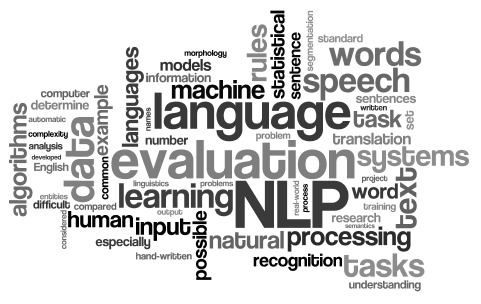 I will also illustrate how use Natural Language Processing (NLP) and text engineering tools to automate and identify defects. One of the most powerful features of this method is the immediate feedback provided to authors and designers early in the development life cycle. They can then take action to correct the defects uncovered while they are still relatively inexpensive to remedy. The end result is improved specifications to drive better products. So if you are program manager, analyst, developer, or architect stay tuned for an approach that just may change the way you think about your writing. And improve your delivery of quality systems. In my last post (Wide open spaces) we discussed the elegance of using space based architecture platforms based on their simplicity and power. Compared to other models for developing distributed applications, it offers simpler design, savings in development and debugging effort, and more robust results that are easier to maintain and integrate. Recall, this model combines and integrates distributed caching, content-based distributed messaging, and parallel processing into a powerful architecture within a grid computing framework. That was a mouthful. You may want to read that last sentence again carefully. And think about what this means to you as a professional practitioner. More importantly, how this may change the way you think about application platforms in general. Before diving into this important concept, I think it is always good idea to express our stated design goals right up front – and use these to guide the inevitable trade-offs and decisions that will need to be made along this journey. So let’s get started with a few design goals I’m comfortable with. I’m sure there are more, but this represents a good start. The architecture should be based on technology that can be deployed across a grid of commodity hardware nodes, providing a scalable and adaptable platform that supports high-volume, high-performance processing. The resulting platform should be tolerant of failure in individual nodes, can be matched to changing volumes easily by increasing (or decreasing) the number of processing nodes and, by virtue of its decoupled business logic, is extendible and adaptable to evolve as the business landscape changes. Unlike conventional application server models, our elastic application platform should not require application developers to do anything different in their code in order to scale. The developer uses a simple API that provides a vast key-value data store that looks like a large shared memory space. Underneath the covers distributed caching features of the application platform spread the data across multiple servers (e.g. using a sophisticated hash algorithm). The application developer should remain unaware of the underlying implementation that distributes the data across the servers on his behalf. In brief, the goal of the grid-enabled middleware is designed to hide complexities of partitioning, distributing, and load balancing. Applications must be available to customers and expected service level objectives must be met. The business cannot afford a single point of failure to impact customer access to other features and functions of the customer applications suite otherwise available. The platform should operate continuously and needs to be highly resilient to avoid any interruption in processing. This means that the application suite cannot have any single point of failure in the software, hardware, or network. High Availability (HA) is a basic requirement. Failing services and application components will continue on different backup servers, without service disruption. Distributed data caches are resilient by design because they should automatically replicate data stored in the cache to one or more backup servers, guided by the policies defined by an administrator and executed in a consistent controlled manner. If one server fails, then another server provides the data (the more replicas, the more resilient the cache). Note, distributed data caches can be vulnerable to data center outages if all the compute servers are located in the same physical data center. To address this weakness, the distributed caching mechanism should offer special WAN features to replicate and recover data across multiple physical locations. The improvement in resilience reduces the risk of expensive system down-time due to hardware or software failure, allowing the business to continue operating albeit with reduced performance, during partial outages. An added benefit of this architecture composed of discrete units working together would enable rapid development and a controlled introduction of new features in response to changing requirements without the need for a big-bang rollout approach. A performance characteristic of distributed caches is that they store data in fast-access memory rather than on disk, although backing store on disk may be an option. Since this data spans multiple servers, there is no bottleneck or single point of failure. Using this advanced elastic application platform provides a means to ensure that cached data will tend to be on the same server where application code is processing, reducing network latency. We can do this by implementing a “near-cache” concept that places data on the server running the application using that data or by directly managing application code execution in the platform, placing adjacent code and data in cache nodes that are on the same server. Most distributed caching platforms offer read-through, write-through, and write-behind features to synchronize data in the cache with external data sources. Rather than the developer having to write the code that does this, an administrator configures the cache to automatically read or write to a database or other external data source whenever an application performs a data operation in the cache. Data is an asset that is valuable. Sharing this asset across the platform improves the ability to support better data enrichment, improve accuracy and meet business goals. For elastic application platforms offering distributed code execution we should consider the nature of the workload the applications will present to servers. If we can divide the workload into units that naturally fit into the distribution schemes as offered then the greater sophistication of the distributed code execution capability can be just what’s needed to turn a troublesome, resource intensive application into one that performs well and meets expectations. So, now we have a better idea of the design goals we are going to try to achieve. I think it is always important to take these goals to the next step in the high-level specification in order to begin quantifying how we will meet these into actionable objectives. Remember our original strategy which has driven our design goals. 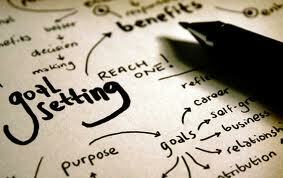 The design goals now should be used to create quantifiable objectives we can plan and measure progress to. Okay, okay – know I should keep this blog more up to date, just have been a little busy with my day job… and now after a much needed rest in last weeks in August I can now share a few things you may find especially interesting and timely. 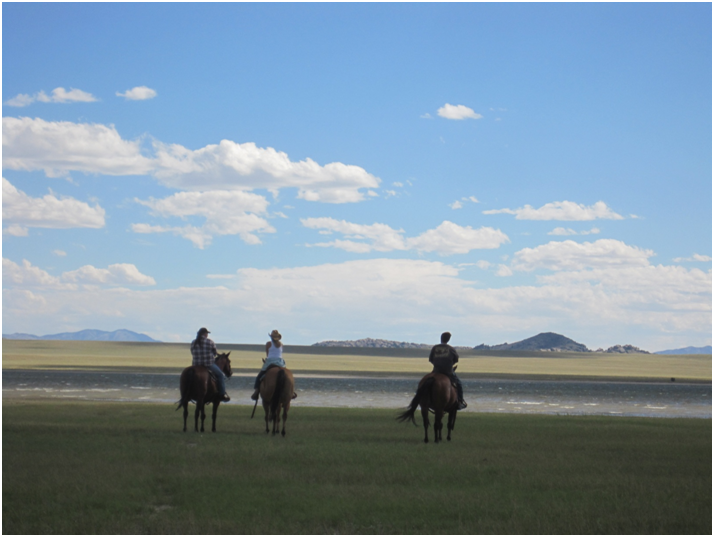 It is no coincidence that the image accompanying this post is of wide open spaces. This is in fact where I spent most satisfying part of my “summer vacation”. And spaces (Tuple Spaces) is what I intend to share with you in the coming weeks. As architects we have a professional responsibility to always remain on the look-out for new (and sometimes revisited) ideas about how to improve and adopt good ideas. Especially when our business needs to invest in some key technology changes to remain competitive and deliver value customers will continue to seek for its distinctive quality of service and value. I have been pretty busy in the last year engaged in a variety of industries where road map development and execution of next generation platforms and paradigm shifts were needed. Many of the more difficult challenges were solved by adopting a Space-Based Architecture (SBA) architecture pattern. This is a demonstrated pattern used to achieve near linear scalability of stateful, high-performance applications using the tuple spaces. This is not a new idea; the tuple space model was developed by David Gelernter over thirty years ago at Yale University. Implementations of tuple spaces have also been developed for Smalltalk, Java (JavaSpaces), and the .NET framework). A tuple space is an implementation of the associative memory model for parallel (distributed) computing by providing a repository of tuples that can be accessed concurrently. I know, this is a mouthful and a little too academic for me too. What this really means is we can group processors that produce pieces of data and group processors that use the data. Producers post their data as tuples in the space, and the consumers then retrieve data from the space that match a certain pattern. This is also known as the blackboard metaphor. Tuple spaces may be thought as a form of distributed shared memory. The model is closely related to other patterns that have been proved successful in addressing the application scalability challenge used by Google and Amazon.com (EC2) for example. The model has also been applied by many firms in the securities i ndustry for implementing scalable electronic securities trading applications for example. Before you think I have gone daft on you, I recommend you see a commercial implementation of this at Gigaspaces. Review the site and developer documentation and you will see how this platform is used to embrace many of the principles of Representational State Transfer (REST), service-oriented architecture (SOA) and Event-driven architecture (EDA), as well as elements of grid computing. The beauty of the space based architecture resides in its tandem of simplicity and power. Compared to other models for developing distributed applications, it offers simpler design, savings in development and debugging effort, and more robust results that are easier to maintain and integrate. The pattern represents a model that combines and integrates distributed caching (Data Grid), content-based distributed messaging (Messaging Grid), and parallel processing (Processing Grid) into a powerful service oriented architecture built on shared spaces within a grid computing framework. Research results and commercial use have shown that a large number of problems in parallel and distributed computing have been solved using this architecture. And the implications of its adoption beyond high performance On-Line Transaction Processing extend well into other uses (including Master Data Management, Complex Event Processing, and Rules Processing for example). And this is what I intend to share with you in the coming weeks. In this series we have discussed developing the MDM blueprint by developing the Common Information (part II), Canonical (part III) , and Operating (part IV) models in our work. In Part V I introduced the Reference Architecture model into the mix to apply the technical infrastructure or patterns we plan on using. The blueprint has now moved from being computation and platform independent to one of expressing intent through the use of more concrete platform specific model. The solution specification is now documented (independent of the functional Business Requirements) to provide shared insight into the overall design solution. Now it is time to bring the modeling products together and incorporate them into a MDM solution specification we can use in many ways to communicate the intent of the project. Downstream designers and implementers to provide overall policy and design guidance. This establishes inviolable constraints (and a certain amount of freedom) on downstream development activities. Testers and integrators to dictate the correct black-box behavior of the pieces that must fit together. Technical managers as the basis for forming development teams corresponding to the work assignments identified. Project managers as the basis for a work breakdown structure, planning, allocation of project resources, and tracking of progress by the various teams. Designers of other systems with which this one must interoperate to define the set of operations provided and required, and the protocols for their operation, that allows the inter-operation to take place. Architects and requirements engineers who represent the customer the MDM blueprint specification becomes the forum for negotiating and making trade-offs among competing requirements. Architects and component designers as a vehicle for arbitrating resource contention and establishing performance and other kinds of run-time resource consumption budgets. Development using vendor-provided products from the commercial marketplace to establish the possibilities for commercial off-the-shelf (COTS) component integration by setting system and component boundaries and establishing requirements for the required behavior and quality properties of those components. Architects to evaluate the ability of the design to meet the system’s quality objectives. 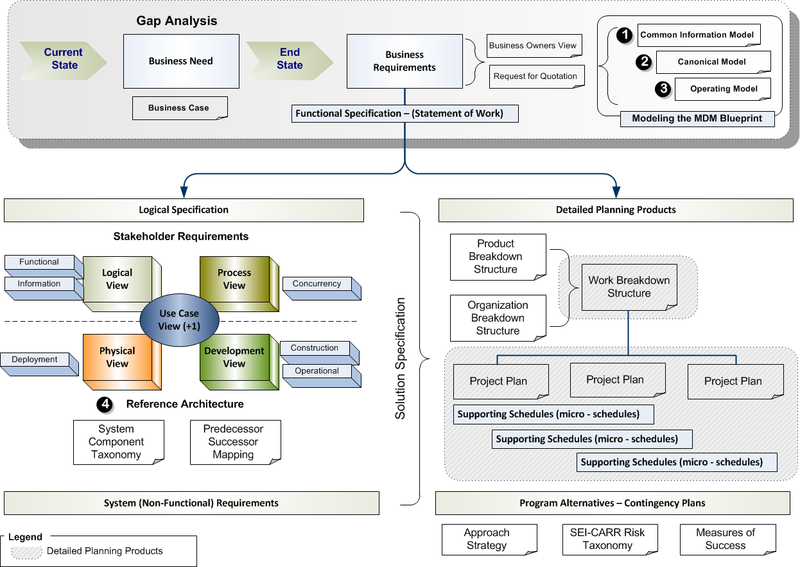 The MDM blueprint specification serves as the input for architectural evaluation methods such as the Software Architecture Analysis Method [and the Architecture Tradeoff Analysis Method (ATAM-SM) and Software Performance Engineering (SPE) as well as less ambitious (and less effective) activities such as unfocused design walkthroughs. Performance engineers as the formal model that drives analytical tools such as rate schedulers, simulations, and simulation generators. Development product line managers to determine whether a potential new member of a product family is in or out of scope, and if out, by how much. Technical mangers as the basis for conformance checking, for assurance that implementations have in fact been faithful to the architectural prescriptions. Maintainers as a starting point for maintenance activities, revealing the areas a prospective change will affect. New project members, as the first artifact for familiarization with a system’s design. New architects as the artifacts that (if properly documented) preserve and capture the previous incumbent’s knowledge and rationale. Re-engineers as the first artifact recovered from a program understanding activity or (in the event that the architecture is known or has already been recovered) the artifact that drives program understanding activities at the appropriate level of component granularity. We are also helping to ensure the business needs drive the solution by mitigating the impact of the dreaded Vendor Driven Architecture (VDA) in the MDM solution specification. I hope you have enjoyed this brief journey through Modeling the MDM blueprint and have gained something from my experience. I’m always interested in learning from others, please let me know what you have encountered yourself, and maybe we can help others avoid the pitfalls and pain in this difficult demanding work. A key differentiator and the difference between success and failure on an MDM journey is taking the time to model the blueprint and share this early and often with the business. This is after all a business project, not an elegant technical exercise. In an early reference I mentioned Ward Cunningham’s Technical Debt concept. Recall this metaphor means doing things the quick and dirty way sets us up with a technical debt, which is similar to a financial debt. Like a financial debt, the technical debt incurs interest payments, which come in the form of the extra effort that we have to do in future development because of the quick and dirty design choices we have made. The technical debt and resulting interest due in MDM initiative with this kind of far-reaching impact across the enterprise is, well, unthinkable. Take the time to develop your MDM blueprint and use this product to ensure success by clearly communicating business and technical intent with your stakeholders. In this series we have discussed developing the MDM blueprint by creating Common Information (part II), Canonical (part III), and Operating (part IV) models in our work streams. We have introduced the Operating Model into the mix to communicate how the solution will be adopted and used to realize the benefits we expect with the business in a meaningful way. And hopefully set reasonable expectations with our business partners as to what this solution will look like when deployed. Now it is time to model and apply the technical infrastructure or patterns we plan on using. 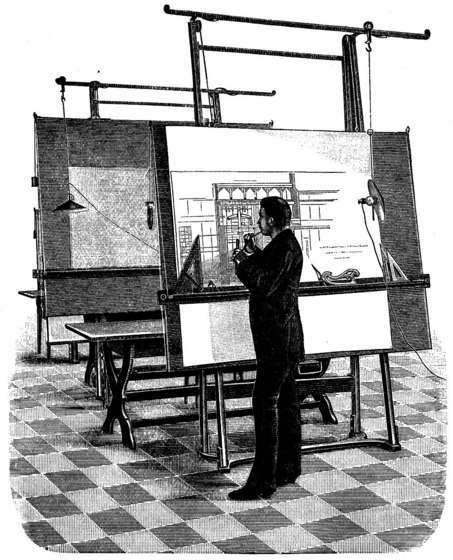 The blueprint now moves from being computation and platform independent to one of expressing intent through the use of more concrete platform specific models. After the initial (CIM, Canonical, and Operating models) work is completed then, and only then are we ready to move on to the computation and platform specific models. We know how to do this well – for example see Information service patterns, Part 4: Master Data Management architecture patterns. At this point we now have enough information to create the reference architecture. One way (there are several) to organize this content is to use the Rozanski and Woods extensions to the classic 4+1 view model introduced by Philippe Kruchten. The views are used to describe the system in the viewpoint of different stakeholders (end-users, developers and project managers). The four views of the model are logical, development, process and physical view. 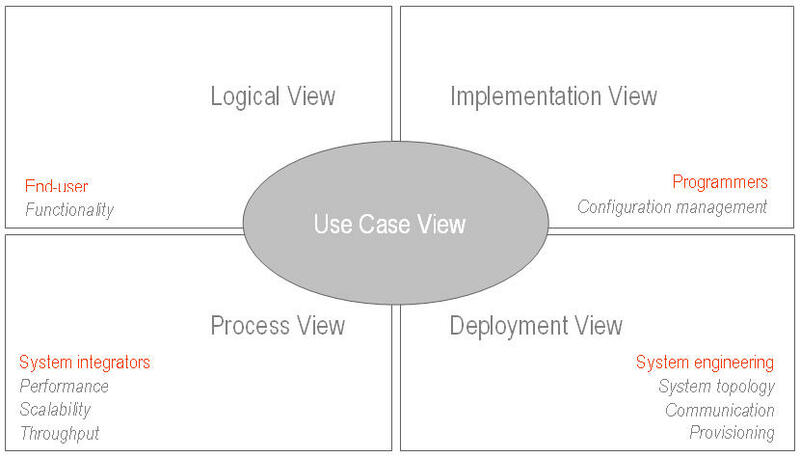 In addition selected use cases or scenarios are used to demonstrate or show the architecture’s intent. Which is why the model contains 4+1 views (the +1 being the selected scenarios). Rozanski and Woods extended this idea by introducing a catalog of six core viewpoints for information systems architecture: the Functional, Information, Concurrency, Development, Deployment, and Operational viewpoints and related perspectives. This is elaborated in detail in their book titled “Software Systems Architecture: Working with Stakeholders Using Viewpoints and Perspectives”. There is much to learn from their work, I encourage you to visit the book’s web site for more information. – Registry, persisted or hybrid design options in the architecture selected. Recommended, this is an exceptional way to tie the technical models back to the stakeholders needs as reflected in the viewpoints, perspectives, guidelines, principles, and template models used in the reference architecture. Grady Booch said “…the 4+1 view model has proven to be both necessary and sufficient for most interesting systems”, and there is no doubt that MDM is interesting. Once this work has been accomplished and agreed to as part of a common vision, we have several different options to proceed with. One interesting approach is leveraging this effort into a Service Orientated Modeling Framework introduced by Michael Bell at Methodologies Corporation. 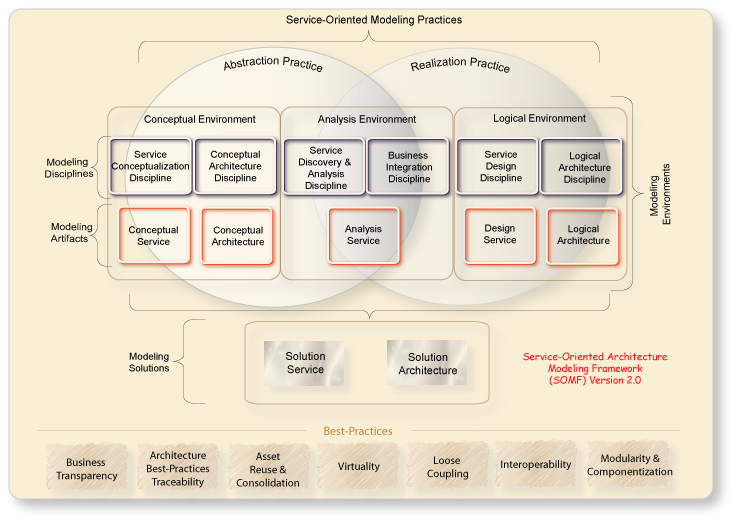 The service-oriented modeling framework (SOMF) is a service-oriented development life cycle methodology. It offers a number of modeling practices and disciplines that contribute to a successful service-oriented life cycle management and modeling. It illustrates the major elements that identify the “what to do” aspects of a service development scheme. These are the modeling pillars that will enable practitioners to craft an effective project plan and to identify the milestones of a service-oriented initiative—in this case crafting an effective MDM solution. 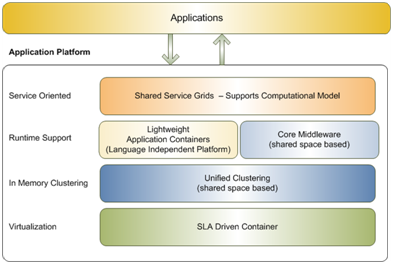 SOMF offers four major service-oriented modeling styles. Each pattern identifies the various approaches and strategies that one should consider employing when modeling MDM services in a SOA environment. – Circular Modeling Style: enables message exchange in a circular fashion, rather than employing a controller to carry out the distribution of messages. The Circular Style also offers a way to affiliate services. – Hierarchical Modeling Style: offers a relationship pattern between services for the purpose of establishing transactions and message exchange routes between consumers and services. The Hierarchical pattern enforces parent/child associations between services and lends itself to a well known taxonomy. – Network Modeling Style: this pattern establishes “many to many” relationship between services, their peer services, and consumers similar to RDF. The Network pattern accentuates on distributed environments and interoperable computing networks. – Star Modeling Style: the Star pattern advocates arranging services in a star formation, in which the central service passes messages to its extending arms. 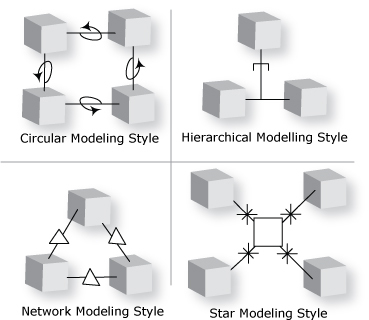 The Star modeling style is often used in “multi casting” or “publish and subscribe” instances, where “solicitation” or “fire and forget” message styles are involved. There is much more to this method, encourage you to visit the Methodologies Corporation site (Michael is the founder) and download the tools, power point presentations, and articles they have shared with us. So, based on my experience we have to get this modeling effort completed to improve the probability we will be successful. MDM is really just another set of tools and processes for modeling and managing business knowledge of data in a sustainable way. Take the time to develop a robust blueprint to include Common Information (semantic, pragmatic and logical modeling), Canonical, (business rules and format specifications), and Operating Models to ensure completeness. Use these models to drive a suitable Reference Architecture to guide design choices in the technical implementation. This is hard, difficult work. Anything worthwhile usually is. Why put the business at risk to solve this important and urgent need without our stakeholders understanding and real enthusiasm for shared success? A key differentiator and the difference between success and failure on an MDM journey is taking the time to model the blueprint and share this early and often with the business. This is after all a business project, not an elegant technical exercise. Creating and sharing a common vision through our modeling efforts helps ensure success from inception through adoption by communicating clearly the business and technical intent of each element of the MDM program. In the last part of the series I will be discussing where all this fits into the larger MDM program and how to plan, organize, and complete this work. – Reference Architecture (e.g. 4+1 views, viewpoints and perspectives). We will now turn our attention to first element, the Common Information Model. I believe (others may not) that MDM truly represents the intersection of Relational, Object, Hierarchical, and semantic modeling methods to achieve a rich expression of the reality the organization is operating in. Expressed in business terms this model represents a “foundation principal” or theme we can pivot around to understand each facet in the proper context. This is not easy to pull off, but will provide a fighting chance to resolve semantic differences in a way that help focus the business on the real matter at hand. This is especially important when the developing the Canonical model introduced in the next step. If you want to see what one of these looks like visit the MDM Alliance Group (MAG). MAG is a community Pierre Bonnet founded to share MDM Modeling procedures and prebuilt data models. The MDM Alliance Group publishes a set of prebuilt data models that include the usual suspects (Location, Asset, Party, Party Relationship, Party Role, Event, Period [Date, Time, Condition]) downloadable from the website. And some more interesting models like Classification (Taxonomy) and Thesaurus organized across three domains. Although we may disagree about the “semantics” I do agree with him adopting this approach can help us avoid setting up siloed reference databases “…unfortunately often noted when using specific functional approaches such as PIM (Product Information Management) and CDI (Customer Data Integration) modeling”. How true. And a very common issue I encounter often. Another good example is the CIM developed over the years at the Distributed Management Task Force (DMTF). You can get the CIM V2.20 Schema MOF, PDF and UML at their web site and take a look for yourself. While this is not what most of us think of as MDM, they are solving for some of the same problems and challenges we face. – Ontolgies can be used at run time (queried and reasoned over). – Relationships are first-class constructs. – Classes and attributes (properties) are set-based and dynamic. – Business rules are encoded and organized using axioms. 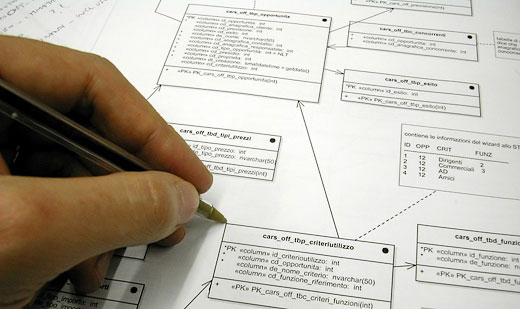 – XML schemas are graphs not trees, and used for reasoning. If you haven’t been exposed to ontology development I encourage you to grab the open source Protege Ontology Editor and discover for yourself what this all about. And while you are there see the Protégé Wiki and grab the Federal Enterprise Architecture Reference Model Ontology (FEA-RMO) for an example of its use in the EA world. Or see the set of tools found at the Essential project. The project uses this tool to enter model content, based on a model pre-built for Protégé. While you are at the Protégé Wiki grab some of the ontologies developed for use with this tool for other examples, such as the SWEET Ontologies (A Semantic Web for Earth and Environmental Terminology. Source: Jet Propulsion Laboratory). For more on this, see my post on this tool at Essential Analytics. This is an interesting and especially useful modeling method to be aware of and an important tool to have at your disposal. This is hard challenging work. Doing anything worthwhile usually is. A key differentiator and the difference between success and failure on your MDM journey will be taking the time to model the blueprint and sharing this work early and often with the business. We will be discussing the second element of the MDM blueprint, the Canonical model in part III. I encourage you to participate and share your professional experience. Several practitioners have contributed to this complex and elusive subject (see Dan Power’s Five Essential Elements of MDM and CDI for example) and have done a good job at elaborating the essential elements. There is one more element often overlooked in this field and remains a key differentiator and the difference between success and failure among the major initiatives I have had the opportunity to witness firsthand – modeling the blueprint for MDM. This is an important first step to take, assuming the business case is completed and approved. It forces us to address the very real challenges up front, before embarking on a journey that our stakeholders must understand and support in order to succeed. Obtaining buy-in and executive support means we all share a common vision for what we are solving for. MDM is more than maintaining a central repository of master data. The shared reference model should provide a resilient, adaptive blueprint to sustain high performance and value over time. A MDM solution should include the tools for modeling and managing business knowledge of data in a sustainable way. This may seem like a tall order, but consider the implications if we focus on the tactical and exclude the reality of how the business will actually adopt and embrace all of your hard work. Or worse, asking the business to stare at a blank sheet of paper and expect them to tell you how to rationalize and manage the integrity rules connecting data across several systems, eliminate duplication and waste, and ensure an authoritative source of clean reliable information can be audited for completeness and accuracy. Still waiting? So what is in this blueprint? The essential thing to remember is the MDM project is a business project that requires establishing of a common information model that applies whatever the technical infrastructure or patterns you plan on using may be. The blueprint should remain computation and platform independent until the Operating Model is defined (and accepted by the business), and a suitable Common Information Model (CIM) and Canonical model are completed to support and ensure the business intent. Then, and only then, are you ready to tackle the Reference Architecture. – Reference Architecture (e.g. 4+1 views). Will be discussing each of these important and necessary components within the MDM blueprint in the following weeks and encourage you to participate and share your professional experience. Adopting and succeeding at Master Data Management is not easy, and jumping into the “deep end” without truly understanding what you are solving for is never a good idea. Whether you are a hands-on practitioner, program manager, or an executive planner I can’t emphasize enough how critical modeling the MDM blueprint and sharing this with the stakeholders is to success. You simply have to get this right before proceeding further. Hands-on technology executive, trusted partner, advisor, software publisher, and widely recognized database management and architecture thought leader. Over his career he has served in executive, technical, publisher (commercial software), and practice management roles across a wide range of industries. Now a highly sought after technology management advisor and hands-on practitioner his customers include many of the Fortune 500 as well as emerging businesses where he is known for taking complex challenges and solving for them across all levels of the customer’s organization delivering distinctive value and lasting relationships.